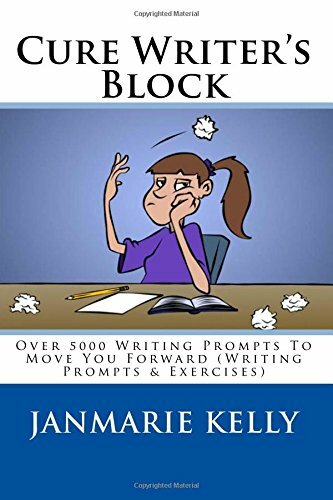 You read it right - over FIVE THOUSAND (5,000) writing prompts, story starters and writing tips to break you out of your block for good!This could be the very last writing prompt book you will ever need. This book covers a wide range of topics including prompts for characters, settings, descriptions, dialogues and many more. There are prompts to start your stories, ones to end your stories, and prompts of things to include within your stories. There are even several pages of 'opposites' listed to get your mind comparing and contrasting and thinking in different directions.Ever think "what if?" well there's a chapter on those too. There's prompts for mystery stories, prompts covering controversial topics and so much more.Let's not forget the bonus writing tips included at the end of the prompts. These are there to suggest little things you can do to 'switch things up' and take your writing to new levels.At over 400 pages this book will keep you reading and WRITING for a long time to come. Pick up your copy today and say "Bye-Bye" to Writer's Block!